Norfolk Island is located 1,400 kilometres east of Australia. 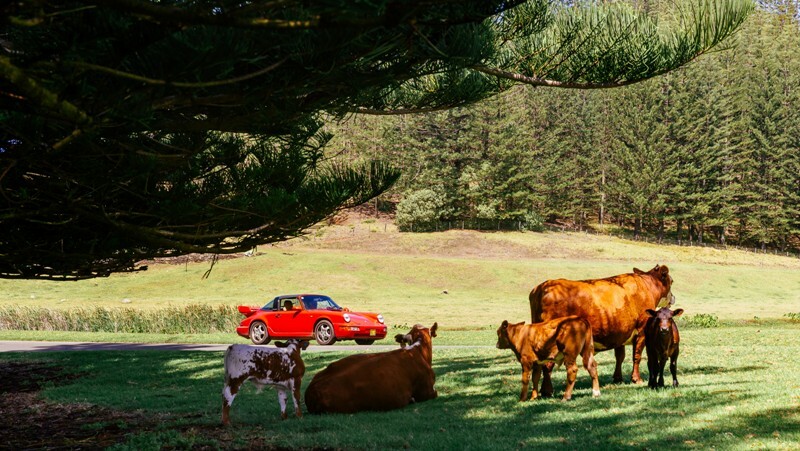 Its 35 km² area was created by volcanic processes, and today is home to 1,800 inhabitants, one set of traffic lights, around 150 cows – and just one Porsche. Cascade Bay, Norfolk Island. Duncan Sanderson stands on the quay wall, looking out over the roaring Pacific. The former jeweller recalls fond memories of standing at precisely this spot 22 years ago, with the red Porsche hanging from a cable overhead – though the experience was a rather stressful one at the time. The offshore coral reef generally makes it difficult for large freight ships to deliver goods to Norfolk Island, and incoming goods often have to be unloaded onto several smaller ships before being brought to shore. 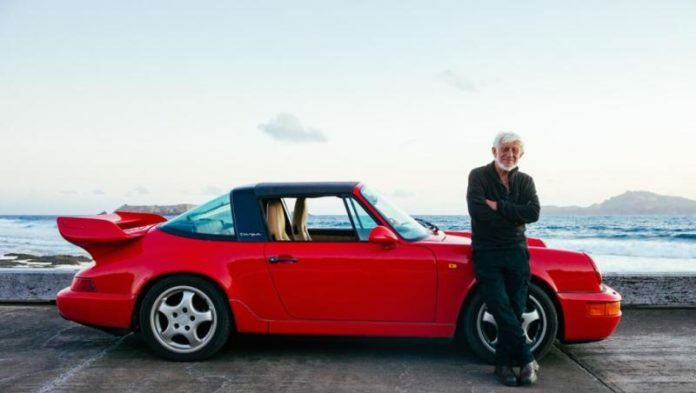 “The Porsche was finally hoisted ashore by crane; I held my breath as I watched it dangle over the sea,” the 75-year-old says with a smile on his face. 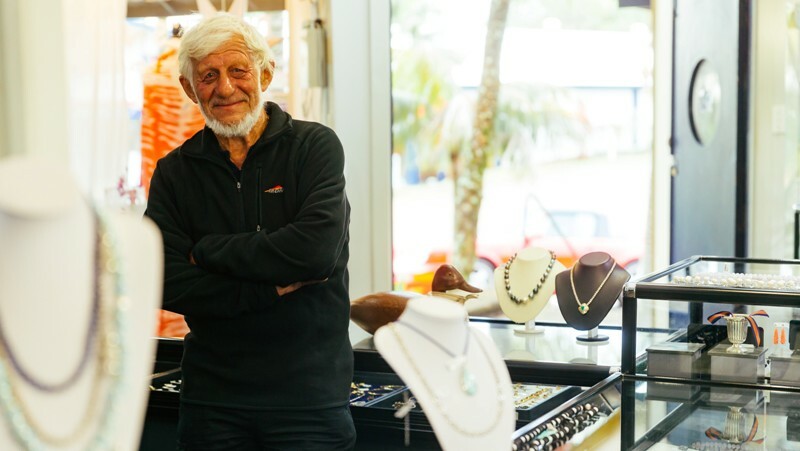 The Sandersons were actually looking for a delivery vehicle for their jewellery business, as they browsed a Japanese auction site. 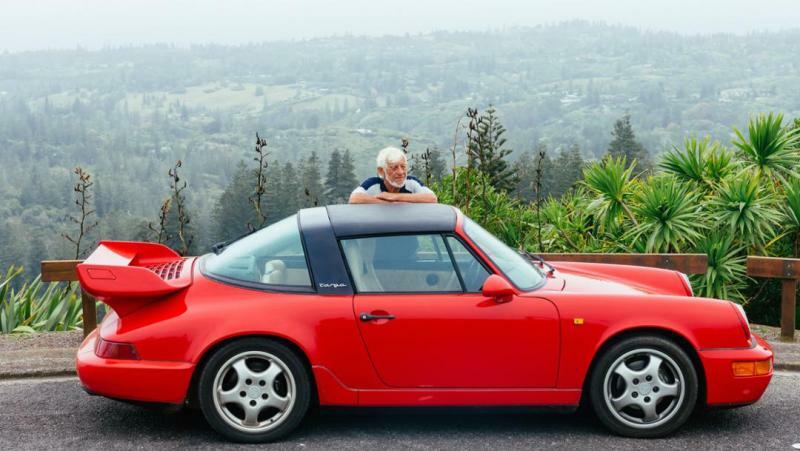 “I happened to notice that the auction was selling various Porsches. Of course, it’s a sports car I’ve always dreamt of – ever since I was a young child,” Duncan recalls. Then in 1996, the dream was suddenly a reality before his eyes – if only on a computer screen that first time: a red 964 Targa. Duncan considered it for a long time, and eventually placed a bid and won the sports car. The Norfolk Island road network is limited, as is the speed permitted on it: all 90 miles of road on the island have a maximum speed limit of 50 km/h, while inaccessible cliffs and rugged mountains also mean that only the southern part of the island is inhabitable. That doesn’t make things easy for Duncan, who likes to take the Porsche out for a spin every day. “You have to be a bit creative on Norfolk Island. Sometimes I wish there was a bit of motorway in the middle of it, so I could really let the Porsche fly. But I’m getting older, and these days I really just enjoy my time with the car. 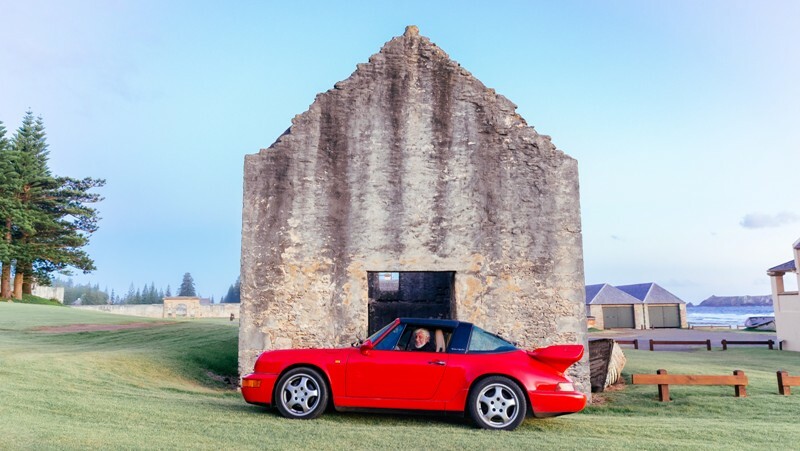 The thing is, every drive in a Porsche is unique, so I’m constantly rediscovering my 911 and the place I call home,” the islander comments. Although the leisure activities available on the small island are not exactly extensive, Duncan Sanderson loves this spot. He likes the people here, believing them to be a bit more neighbourly than in a village, and very warm and welcoming. All he needs to be happy is 35 km² and 6 cylinders.